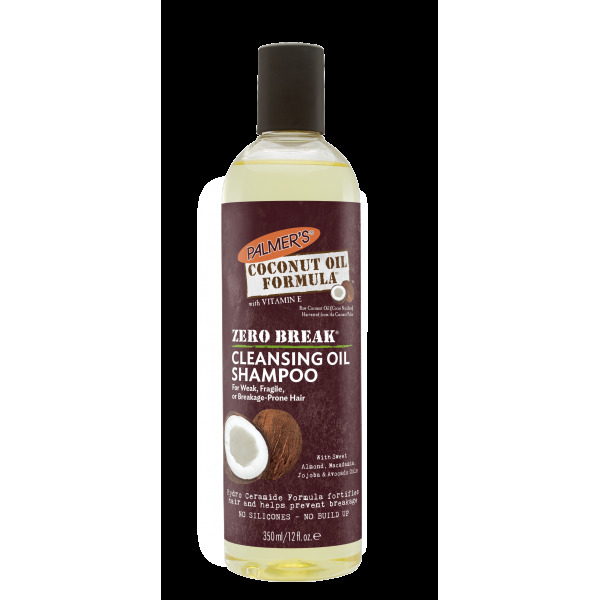 Palmer's® Coconut Oil Formula™ Zero Break™ Cleansing Oil Shampoo contains ethically and sustainably sourced Extra Virgin Coconut Oil and Tahitian Monoi in addition to a hair-healthy blend of Sweet Almond Oil, Jojoba and Avocado Oils. This silicone-free formula fortifies hair for optimal growth and shine without buildup or weighing hair down. No Sulphates. No Parabens. No Phthalates. No Mineral Oil. No Gluten. No Dyes. No Silicones. Breakage-Prone Hair: Healthy, virgin hair has a high presence of ceramides that help support the structure of the hair cuticle. As hair is processed, over-styled or damaged, ceramides are depleted resulting in coarse dry, hair. Palmer’s® Zero Break™ Hydro-Ceramides restore this lipid barrier, improving the strength of hair, and reducing damage, breakage or splitting. 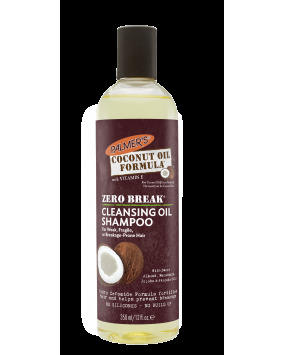 Apply Palmer's® Coconut Oil Formula™ Zero Break™ Cleansing Oil Shampoo to wet hair. Work into creamy lathe. Rinse thoroughly.